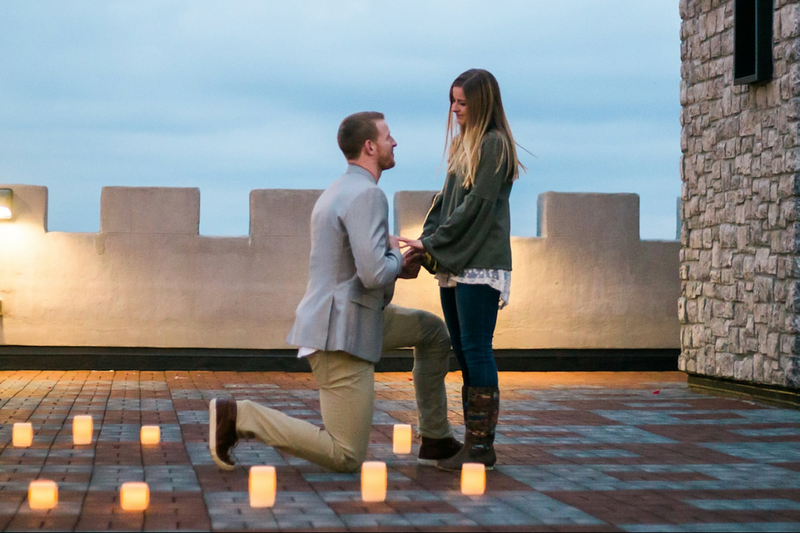 Carson Wentz shared special news on Instagram Tuesday, Feb 6. Carson Wentz has yet another reason to celebrate just days after the Philadelphia Eagles brought home its first Super Bowl victory against the New England Patriots on Sunday. The star quarterback, 25, who was out for the last part of the winning season due to an injury, announced he is getting married in a social media post on Tuesday. "She said YES! And now Maddie and I both got us a ring 💍😎 can't wait to marry my best friend! God is doing some amazing things and I can't thank him enough!" he wrote in the post. The New York Post reports that the woman pictured in the photo is Wentz's girlfriend, Madison Oberg, who was present for his ACL surgery in Pittsburgh back in December. "The comeback officially begins now! The Lord truly blessed me with this beautiful young lady to walk by my side and support me through all of this!" Wentz wrote following the surgery. Wentz's previous relationship with his high school girlfriend, Melissa Uhrich, was once called the "perfect North Dakota relationship" by the New York Post. Wentz was at U.S. Bank Stadium in Minneapolis as his team secured its first Lombardi Trophy. After his injury, backup quarterback Nick Foles took over his role for the team. Foles later went on to become the Super Bowl MVP. "As humans, we all want to be the competitors that we are and be out there on the field," Wentz said during his first news conference since the injury last week. "Every time the offense runs out on the field on Sundays, it's tough. It hits me a little bit. But then I'm in it because I love these guys and I'm a part of this team just as much as anybody else."